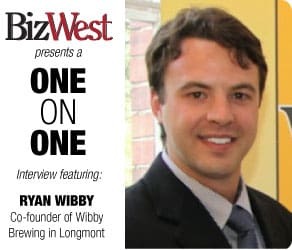 BizWest interviewed Ryan Wibby, brewmaster and co-founder of Wibby Brewing in Longmont. Wibby spoke to BizWest fresh off a silver medal win — and his wedding engagement — at the Great American Beer Festival in October for his beer, Moondoor Dunkel. BizWest: What was your process for selecting which beers you would enter into GABF and what factors were you considering when you selected your submissions? 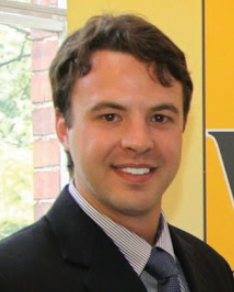 Ryan Wibby: Entering beer for competition is tricky. I was taught a long time ago to put my beers in the categories where it closely aligns with the description of that particular category. I always enter Lightshine Helles (43 Munich Style Helles), Moondoor Dunkel (47a Munich Style Dunkel) and Wibby IPL (60 American style IPA) as these are our 3 core brands and they have clear styles. When I enter these beers I make sure I have the best cans of beer coming off our canning line and try to store them in the best way possible. The last thing I do before dropping off the beers is give them a great big hug and wish them luck. BW: You only brew lagers. What was the decision-making process behind deciding that would be your forte? RW: Brewing lager beer was less of decision and more destiny. Early in my career I had the great opportunity of brewing many different styles of lager beer, and I quickly became very fond of drinking only lagers. I really enjoyed the crisp clean finish of a good lager. I then spent a year studying beer science in Berlin, Germany. There I was taught how to brew true German lagers from German lager brewers. This is when I discovered the great combination of traditional lager brewing and American craft beer ingenuity. This combination is delicious, and I decided to create a brewery around this idea. BW: In the vein of you only brewing lagers, do you see more breweries taking a similar path and having something they specialize in to stand out? More broadly, with so much competition in the industry, how do new breweries stand out? RW: I do see more breweries taking a similar path and finding their own niche within the industry, whether that is craft lagers or sours or red ales or whatever cool, crazy flavor. Finding your niche and sticking with it is a great way to stand out but most importantly it is about staying true to yourself. I know I am passionate about lager brewing, and I want to stay in that niche because it’s what I am passionate about. Nowadays it is a bit more difficult to stand out because there is so much great beer out there. For us, we knew we needed to stand out in every single way we could. That meant that our beer, customer service, branding, salesmanship, events and taproom all needed to stand out. It’s not enough to just have good beer; we need to be excellent and unique in everything we do. BW: You guys have been focused on a Denver roll out and GABF was a big part of drumming up hype for that. Can you talk a little bit to the strategy of expanding to Denver, why you decided to do so and why you decided to take advantage of GABF for your rollout? RW: I have been pouring beer with several different breweries at GABF over the past decade, and I have fallen in love with this beer festival. It is so awesome to have so many great breweries from all over the country descend on Denver every year. It is a really great opportunity for us to gain exposure to a bunch of new customers while having a great time with all of our brewery friends. As for expansion to Denver, I plan on brewing a bunch of beer so we never come close to running out, and all our customers can enjoy as much of our Wibby lagers as they would like (responsibly of course). BW: You talked with us at our CEO roundtable about the difficulties the craft beer industry is facing as it matures and faces competition from corporate breweries. But you obviously love the industry. What is your advice for someone like you, who has a passion for craft beer, but wants to run a successful business? RW: My advice is: Fight the good fight and keep everything in moderation. This means run your business like a business but at the same time make sure you get to enjoy the industry you’re in. The craft beer industry wasn’t always like this. The craft beer industry 25-30 years ago was very small and most consumers had no idea what a craft beer was. We all need to make sure we remember and thank all the great people who helped get this industry off the ground. Wibby Brewing is forever grateful for all of their hard work and dedication.